ORGANIZERS: Melissa Aronczyk, Rutgers U.; Lee Edwards, U. of Leeds; Anu Kantola, U. of Helsinki. Click above to enlarge a map of the institutes and embassy’s surrounding area. On the left side of the map, you can see Hiroo-station. It is the closest metro station to the institute. Tokyo metro Hibiya line goes to Hiroo station. Another option is to take Oedo line or Namboku line to Azabujuban station. At both metro stations, we recommend that you exit the station at Exit 1. It takes around 10 minutes to walk from Hiroo and 15 minutes to walk from Azabujuban to the institute, which is located inside the embassy. *The preconference will conclude in plenty of time for participants to travel to the main ICA conference in Fukuoka for the opening plenary the following day (9 June) at 6 pm. This preconference examines the growing social and political importance of promotional activities and public relations. For decades, promotional activities have enjoyed a prominent role in societies as tools to foster the aims of various societal agencies, be they corporations, political actors, public institutions, NGOs or citizen movements. In today’s turbulent political and media environments, promotional practices have become more inventive, coordinated and ubiquitous, crossing transnational borders and circulating across business, politics and social institutions. Promotional practices encompass a wide range of different disciplines, from advertising and branding to digital marketing and event management. Public relations is an essential tool in the promotional mix, and is increasingly used as a stand-alone strategy for organisations of all kinds to manage their visibility, legitimacy and relationships with stakeholders. However, its influence and power in the context of an increasingly promotional culture is under-researched. The preconference will address this gap, focusing on the societal and political significance of promotional activities and PR in particular, as used both alongside, and independently of, other promotional techniques. Organisations now recognize PR as a necessary tool in constructing and maintaining a reputation or brand. Many NGOs, social and political movements as well as corporations and governments actively employ PR and professional campaign practices to advocate for their interests. At the same time, audiences are more aware of PR than they used to be: they ‘read’ promotional texts actively and critically, and engage in promotion themselves. Contests for power, influence and legitimacy among stakeholders are therefore more complex and ‘publics’ are managed on many fronts through various forms of ‘relations’ (stakeholder relations, media relations, government relations). Communications media and other media technologies are instrumental to the expanded spectrum of possibilities for promotional action. The “abundance, ubiquity, reach and celerity” (Blumler, 2013) of modern communications practices, technologies and forms of participation – and particularly the advent of interactive, networked digital media – have permanently transformed what it means to be politically and socially engaged. Digital media are fundamental to the relationship management strategies that facilitate engagement. For example, digital technologies used in the political process (e.g, data analytics, citizen mobilization, voter segmentation and campaign microtargeting) have transformed political communication. Some have argued that these media have helped create a digital public sphere allowing for more – and more diversified – participants in political life. Others express concern that the hypercommercialization of online space and the private sponsorship of public participation undermine the quality of political discourse. Similar debates have emerged about the effect of PR and promotional strategies beyond the political arena, on civic life more generally. Some scholars suggest that by creating connections between audiences and organizations and building communities of common interest, promotional work generates the kind of social capital that forms the basis of a healthy public sphere. However, others argue that the self-interest driving relationship management by organizations significantly limits the contribution to public life made by promotional work, at the very least making it conditional on some kind of organizational benefit. It is clear that promotional activities today have a growing impact on civic and democratic life with variable effects, and we invite papers that adopt a reflexive, contextualised approach to the topic. Moreover, Western countries are not the sole countries to use forms of promotion. In countries across the globe, promotional communication is used actively in public affairs and political life. While they are less widely-published, non-Western perspectives on the relationship between PR, politics and power, offer important correctives or corollaries to dominant views. We welcome papers from the Global South and East that incorporate worldviews that have been neglected in scholarship and practice. How is promotional work linked with political, economic and social spheres of life? How do various societal, political and civic actors, organizations and institutions employ promotional practices? How do promotional practices intervene into and influence constellations of power across society? How does PR, alongside other promotional techniques, mediate politics and power? How do the PR industry, systems of corporate power, and systems of governance articulate with each other on a day-to-day basis and in relation to specific issues? How does PR carried out by third-sector organisations challenge or reinforce political and economic power? What role do media play in helping or hindering PR’s influence as a promotional industry? How is promotional work changing in response to changes in communication technologies and audience attitudes? Does PR lead changes in promotional work, or follow them? How do the discourses generated through PR in different contexts benefit, or inhibit, civic life? In posing these questions, the preconference aims to decipher the circulation of promotional and PR practices, and their often unexpected outcomes, and assess them in terms of communicative power – who gets what, by what means and with what kinds of consequences. We encourage papers from scholars of political communication and popular communication, as well as PR scholars, in order to meet our objective of exploring promotional activities in new ways, and creating fruitful dialogue between disciplines. 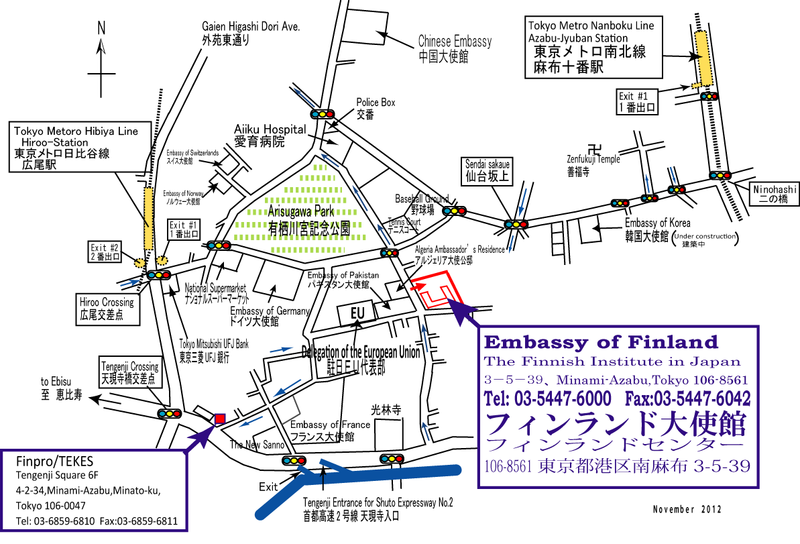 This event is generously sponsored by the Finnish Institute in Japan.